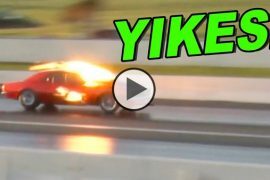 Take a look at this, Reaper From OKC Street Outlaws Testing the New Procharged Yenko Camaro!!! Every time a racing car is built it needs some serious scrutiny and testing and there are many reasons for it, the shakedown part of it is always intended to have the parts that might not have been built to the exact specifications that the manufacturer intended, fail before the vehicle is entered into competition, so they can be changed in due time. The other part is as you probably are guessing to setup the car, because these machines are so sensitive to input and adjustments that they need to be properly dialed in like a fine instrument in order to perform to the best of their abilities. To today we join Reaper as he is about to put his newly built Procharged Yenko Camaro thru its paces and see which parts are properly setup and which ones’ need adjusting, and while he does this, we get to enjoy hearing that beast at full chant, slamming down run after run, great. 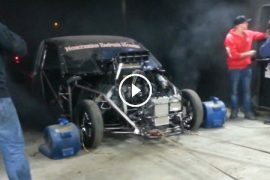 Monster “Blown Smoke” Causes Mayhem this Dyno Run! Hate Tank is Back and It’s Fast as Hell!! Previous articleVirginia Man Strikes GOLD With 1970 LS6 SS454 Chevelle That Runs after Being Parked 35 Years!!! Next articleKentucky Woman Pulls a Gun When Patrick Asked About Her 1970 SS454 LS6 Chevelle!!! 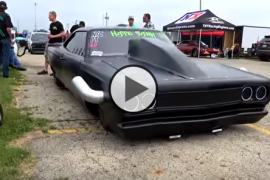 Wicked Blown 1972 Chevy Chevelle Pro Street!